I'd decided that 2014 was the year I should get out of my blogging closet and reach out more and connect with other bloggers, and not just those who write my favourite jewellery blogs. What I had no idea about was just how quickly that was going to happen, 2 weeks later and I was on my way to the English Muse in Hull, a gorgeous cafe in a bustling independent shopping area of Hull, to meet with a group of bloggers for the very first #HullBloggerMeet, Twitter really has a lot to answer for - in a good way! 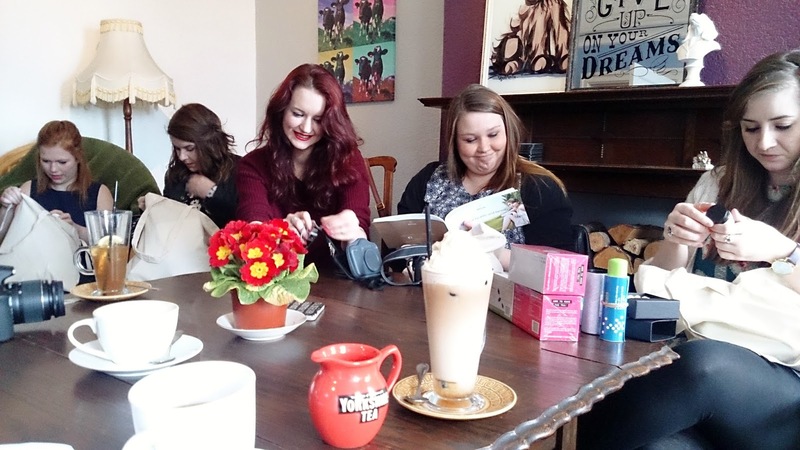 If you want to know how to organise a blogger meet up, Charley, our lovely host for the day wrote a guide on her blog - you can check it out here... www.ramblingofabeautyblogger.com. I didn't really know what to expect but I ventured upstairs to say hello and then back down again to go order a very large mug of Earl Grey... my usual fare! The staff were so helpful and brought all our drinks up for us, and I soon began to wish I'd been a bit more adventurous as the milkshakes, hot chocolates and delightful concoctions began to appear in a steady stream... sorry this really isn't an advert for the English Muse, it is about the Blogger Meet honestly but I can't emphasise enough just how welcoming they were to us! Introductions all around and we began to chat about blogging, life, the universe and everything, I'm dying to crack a HHGTTG quote as there was mention of fish, along with other random and blogging related topics, lots of giggles and some useful hints and tips and before long 2 hours had just flown by. Drinks, goody bags, cameras and lots of concentration. Charley had not only organised LARGE goody bags for everyone, but also held a raffle and ensured there were prizes for everyone (I now have softer skin as a result - bonus) - such a thoughtful thing to do and armed with big bags we set off to have a bit of an explore and to do some shopping. Even the torrential rain didn't quite put us off and I said my goodbyes with very bedraggled hair and a very soggy coat... *mental note to self* check forecast before wearing a (fake) fur coat out... even the nice perfume I tried on didn't quite disguise that wet dog ambiance! I now have a whole new list of lovely blogs to read and feel very privileged to have met the people behind them. If you get the chance to attend a blogger meet, based on my first experience I would very much recommend you try one out! Questions for today are have you ever met a group a people where you knew no-one? What happened? Bonus question for the bloggers: Tell me about other blogger events you've attended and/or what would you like to attend? *Part 1 is just about meets as this is for the A to Z Challenge and I'm keeping posts quite short for those of us who are participating in this HUGE blog hop! - Part 2 with more details will be scheduled for May, please come back then if you want to know more! so if you're on the A to Z trail, go give them some extra love! That sounds like a lot of fun. I should organize one down here in Ecuador. BTW -- Since you do jewelry, some of my random posts will feature gemstones (I'm a GG). What a lovely idea your bloggy meet -up is, glad you had such a great time. Thanks Martine! 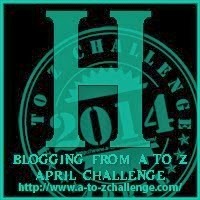 Loved your flash fiction :) Really enjoying the random finds on the A to Z challenge. That sounds great Susan! Would be lovely to meet you. It was my first one and I'd definitely go to another, everyone was very friendly and welcoming and Charley is a great organiser!